It's been some time since we looked at the state of the airline industry in Lithuania, a small European country that, unlike its Baltic neighbours, seemed to have some difficulties in sustaining its own national airline. This was so, to the point that it was said that Vilnius the EU capital with the worst air connections. Although low cost carriers Ryanair and Wizz Air stepped in by launching a number of routes from the country, the options remained somehow limited for passengers flying in and out of Lithuania. It is in this context that we reported on the project to create a new Vilnius-based airline, Air Lituanica, that aimed to fix this connectivity issue. The initiative has been led by the Vilnius Municipality, that remains the main shareholder of Air Lituanica, but 26 additional shareholders have since joined the project through Air Lituanica Club UAB, an entity that controls 17% of Air Lituanica's equity. In fact, although strong challenges remain, it is no coincidence that Lithuanian airlines have been traditionally struggling (small home market, peripherical geographical situation,...) there might be a market gap for a well-dimensioned niche carrier able to differentiate itself from Ryanair and Wizz Air, the two carriers that are likely to continue dominating in the Lithuanian market. In this aim, Air Lituanica can count on the experience of its "industrial" partner, Estonian Air (whose home market is not too different from Lithuania). It is Estonian Air that takes care of the ticketing system and from whom Air Lituanica is leasing its first Embraer E170. 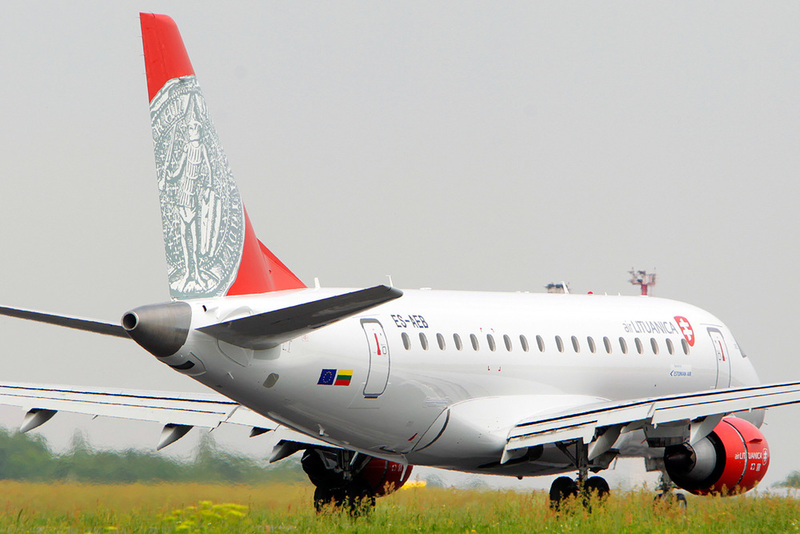 The choice of fleet and destinations (Amsterdam, Brussels, Berlin for now and coming up next Munich, Prague and Moscow) fit the airline's purpose of improving Vilnius' air connectivity while not competing head to head on routes such as London, Paris and Frankfurt where capacity is already provided by Ryanair, WizzAir and Lufthansa. Air Lituanica's plan is to consolidate itself as Lithuania's "flag carrier" by reaching a 15-20% market share in Lithuania by 2015 (around 600-700,000 passengers per year). The goal is to have by then a fleet of up to 5 regional jets, serving 13 to 16 destinations, all within 2.5h flight-time from Vilnius airport. It is an ambitious plan for an airline that has just taken off, performing its first revenue service at the end of last June. 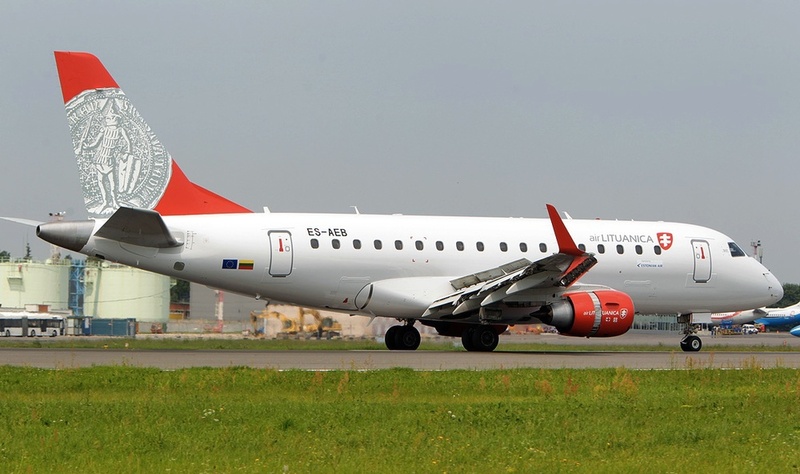 During its first month of operations Air Lituanica has carried out 98 flights, for a total capacity of 7448 seats and a load factor of 65% (sources at the airline are confident that this is figure is going to be up to 70% after the summer) on its Brussels and Amsterdam routes. An interesting detail is that Air Lituanica seems to have a very balanced mixed of Lithuanian and foreign passengers, roughly half and half. Will the Lithuanian market be large enough to support this new carrier? Time will say, but my guess is that a lot will depend on the ability to remain a very specialized carrier in an environment dominated by low cost giants. Reaching agreements to feed Lithuanian traffic to larger airlines, such as KLM and Aeroflot, might be a way to go.